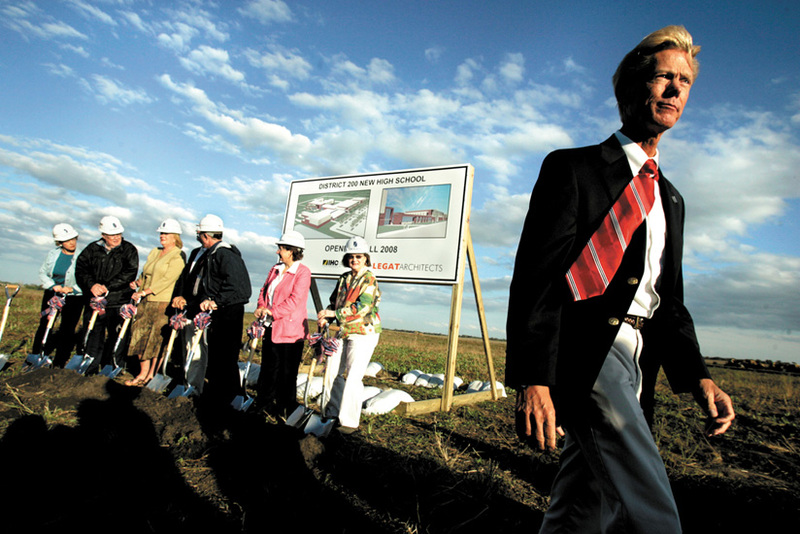 Mayor Brian Sager walks away from the construction site of the new Woodstock high school after posing for pictures of the groundbreaking. 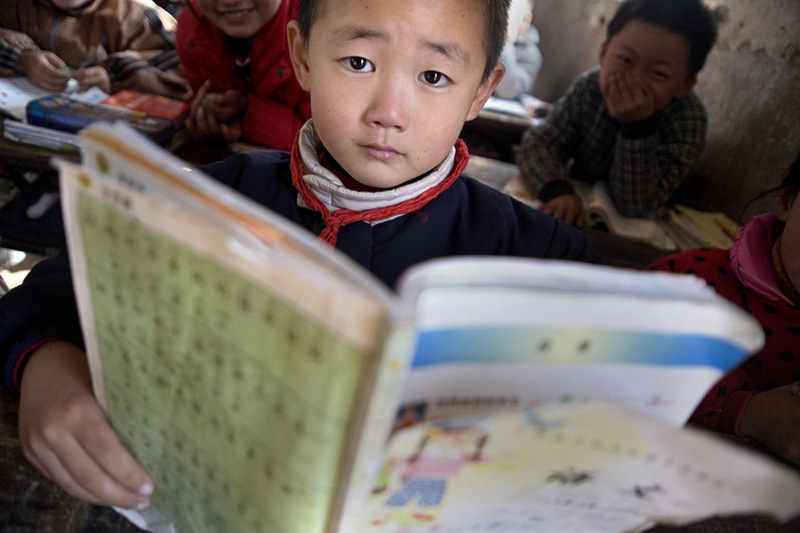 Children study inside Hezhuang Primary School outside Yibei, Guanyun County, Jiangsu Province, China. 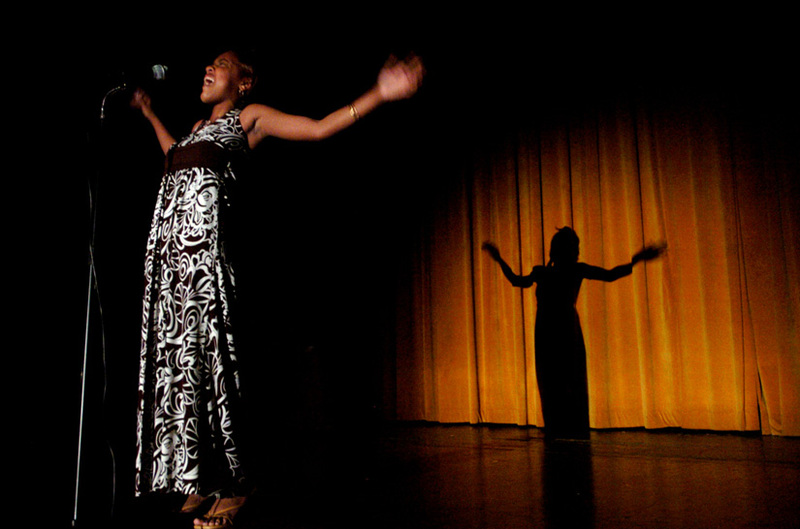 Jarielle Nettles, 12, sings "I am Changing" during the final round of the Flint Youth Idol competition Sunday at Hamady High School. 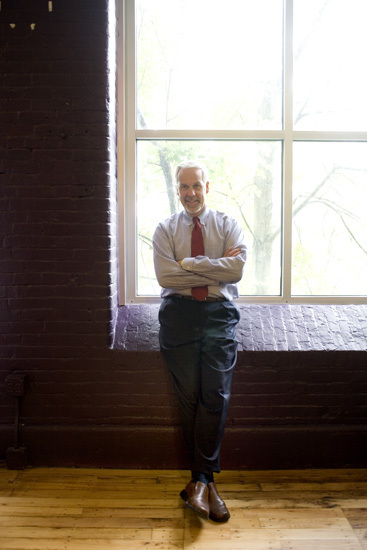 Paul LeBlanc, president of Southern New Hampshire University, is seen in the offices of the school's College of Online and Continuing Education (COCE) at the Riverwalk Mills Building in downtown Manchester, New Hampshire. Al Degutis observes stars and other celestial bodies from a telescope mounted on the deck behind his home outside Woodstock. 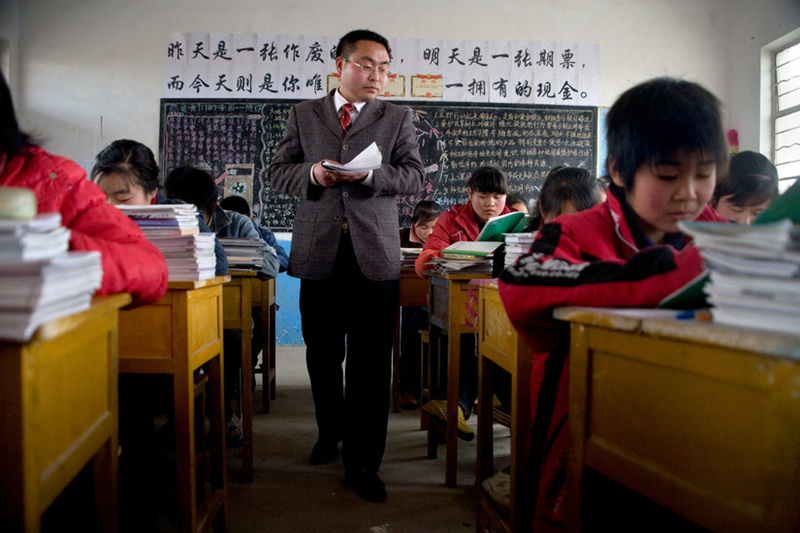 A teacher monitors class activities in rural Jiangsu Province, China. Dr. Andreas Velten, Postdoctoral Associate in Dr. Ramesh Raskar's Media Lab Camera Culture group, sets up equipment in a lab at MIT in Cambridge, Massachusetts, USA. 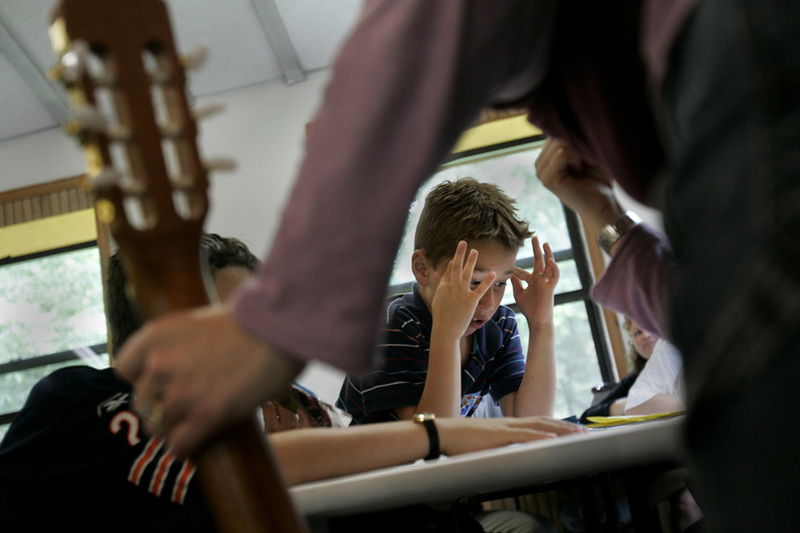 Nick, 7, of Elgin, who lost his great-grandmother in January, struggles to come up with lyrics for a song at Camp Courage near Volo off Route 12. 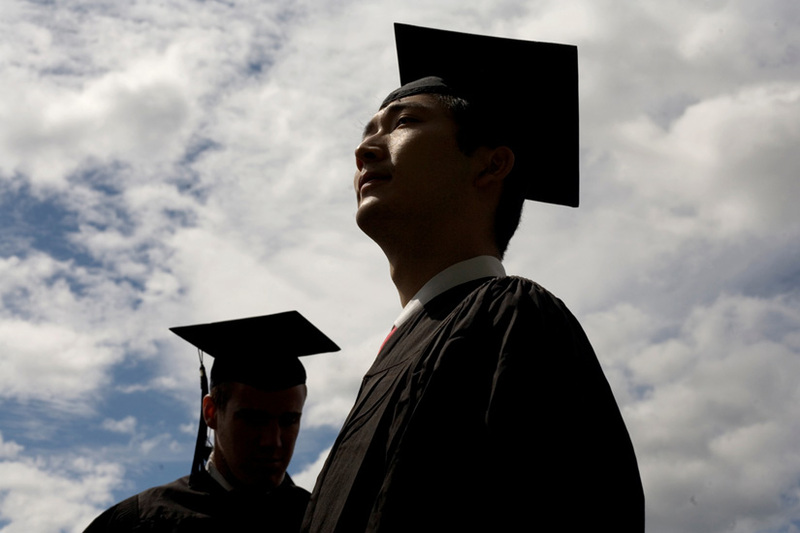 Graduating students make their way to the commecement ceremony at the Massachusetts Institute of Technology. 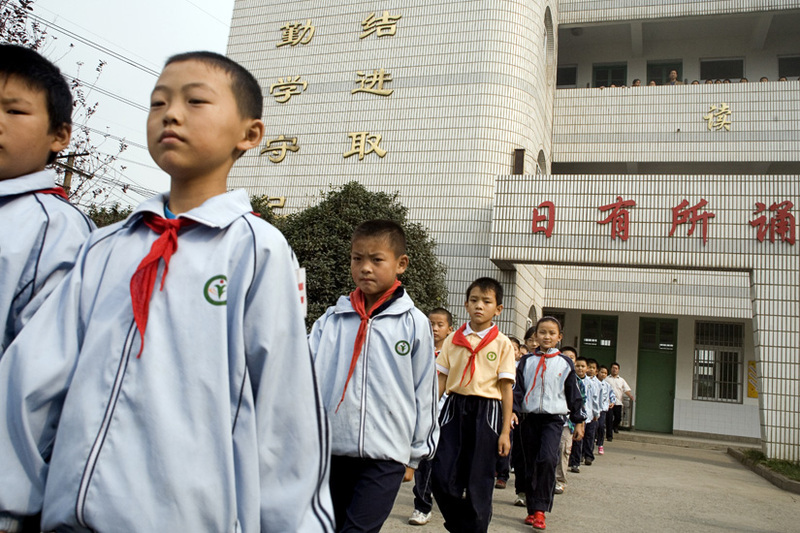 Students walk from a school building for a special assembly at an elementary school in Pukou, Jiangsu, China. 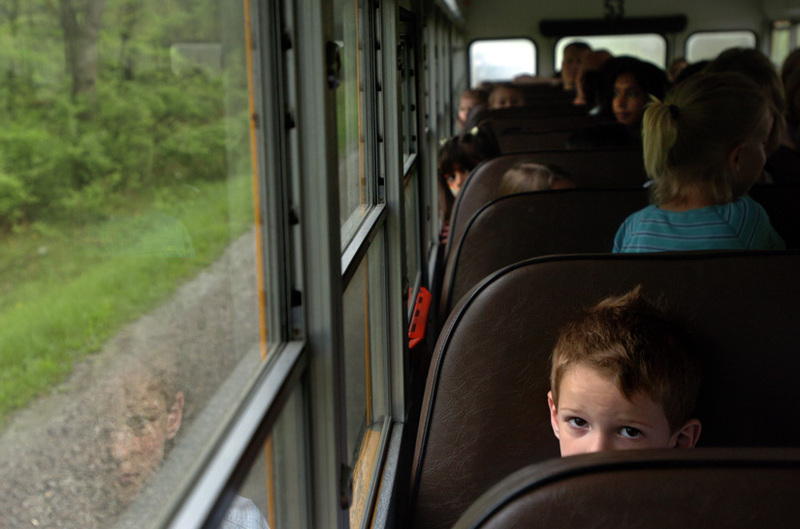 Bradley, 4, of Grand Blanc Township takes part in a Teddy Bear Bus Ride as part of the Kindergarten Roundup put on by Grand Blanc School District on Wednesday. 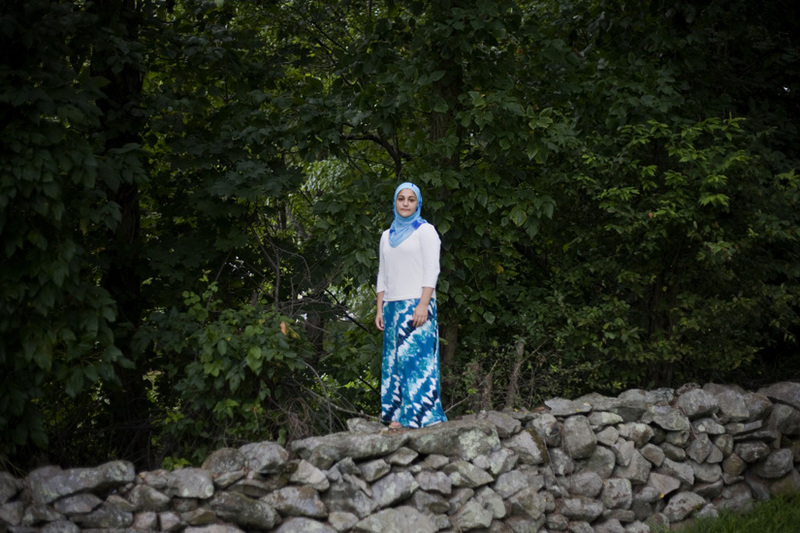 Shayreen, 16, a devout Muslim and strong student, poses for a portrait in the backyard of her home in West Warwick, Rhode Island, USA, on Sunday, Aug. 22, 2011. 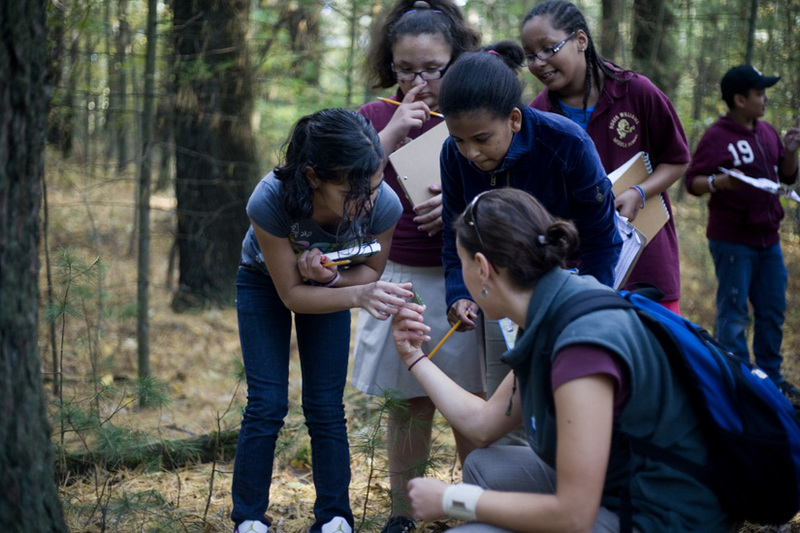 Jennifer Klein (right) shows a small plant to sixth grade students from Roger Williams Middle School in Providence, Rhode Island, as they walk along a trail at the Powder Mill Ledges Wildlife Refuge in Smithfield, Rhode Island, on Oct. 20, 2011. 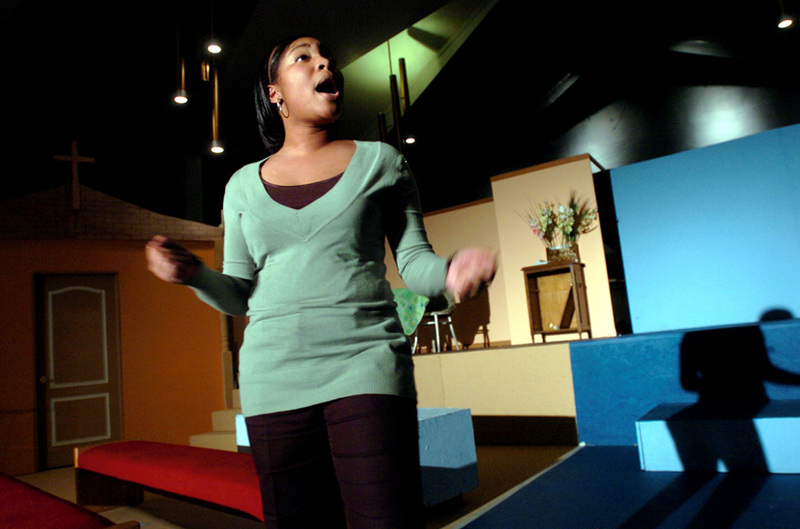 Sharondra Smith, 19, of Flint rehearses the song "Love Slipped Up" which she sings in the play "This Far by Faith" at the New McCree Theatre. 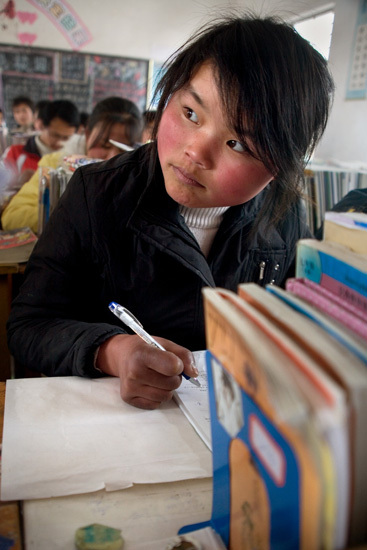 A student takes notes during class in rural Jiangsu Province, China. 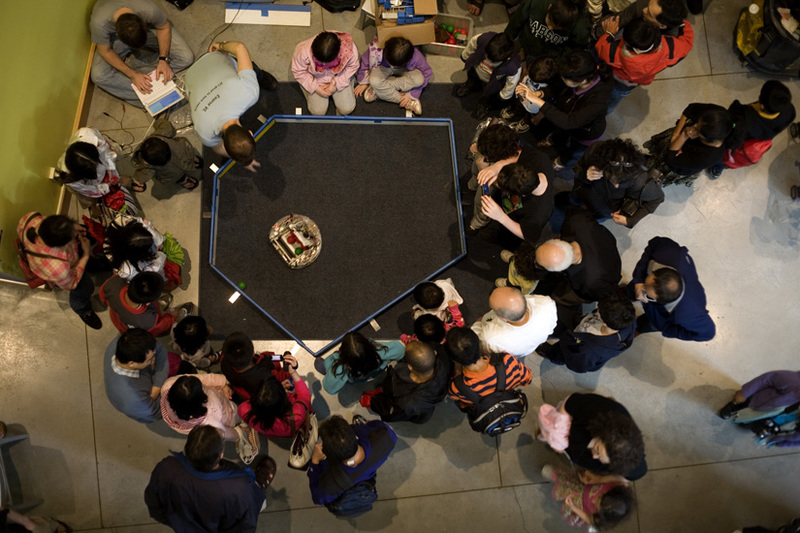 People look at robotics demonstrations in the Stata Center during the MIT Under the Dome open house in Cambridge, Massachusetts, USA. 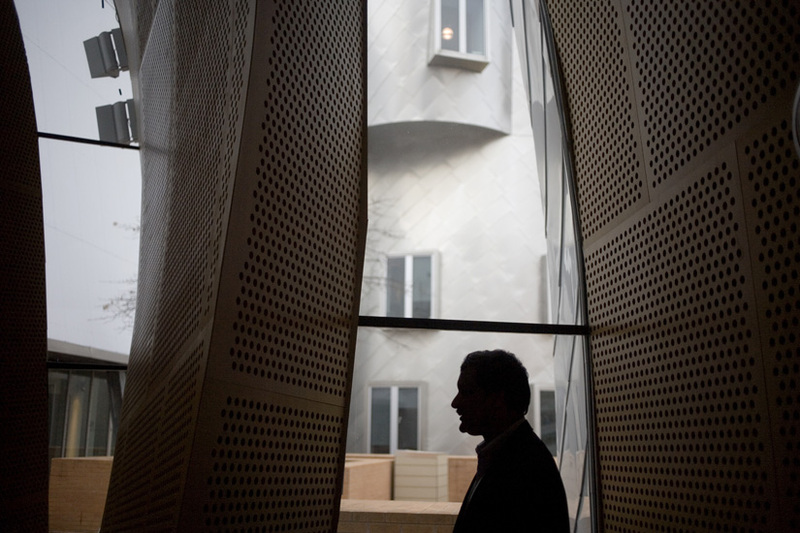 Dr. Anant Agarwal is the director of MIT's Computer Science and Artificial Intelligence Laboratory and a professor of Electrical Engineering and Computer Science. Professor Agarwal is also the instructor of 6.002x, the first course offered in the school's online learning initiative MITx. 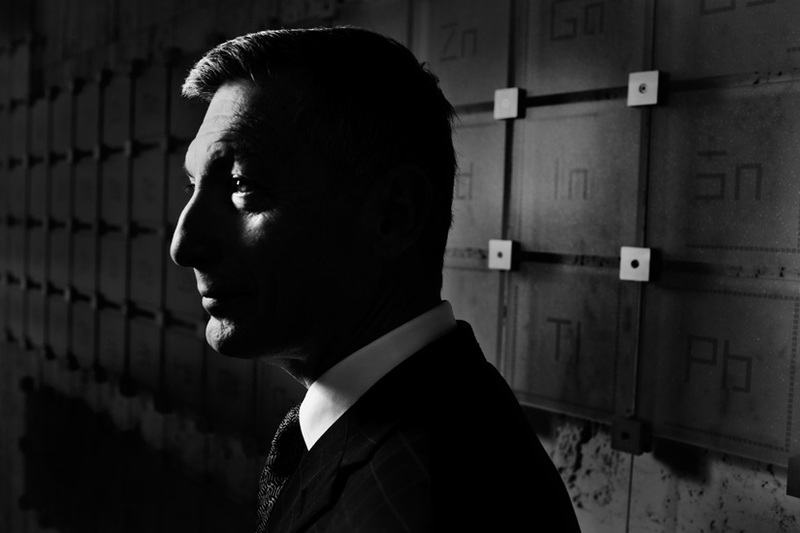 Professor Donald Sadoway is the John F. Elliott Professor of Materials Chemistry in MIT’s Department of Materials Science and Engineering.